The California Water Association was well represented at the 2017 National Association of Regulatory Utility Commissioners’ (NARUC) Summer Policy Summit in San Diego when California Water Service President and Chief Executive Officer Martin Kropelnicki and California American Water (CAW) President Richard Svindland participated in separate panel discussions on infrastructure investment in the utility industry. During one of the general session panels titled, “Infrastructure: It’s All About the Benjamin$,” moderated by Commissioner Ann Rendahl of the Washington Utilities and Transportation Commission), Kropelnicki pointed out how the regulated investor-owned drinking water utilities in California compare favorably with their government-owned utility counterparts and the national average when it comes to consistent investment in important water utility infrastructure. Every four years, the American Society of Civil Engineers (ASCE) issues a report card on the condition of the nation’s infrastructure. Letter grades are assigned based on physical condition and needed investments for improvement. The nation’s 2017 report card is in, and the overall grade for infrastructure generally is D+. Grades for specific utility sectors were no better: energy = D+; drinking water = D; wastewater = D+ (the telecommunications sector is not graded; however, it is well known that there are millions of Americans without access to broadband service). Greg DiLoreto, ASCE Past President and current Chair of the ASCE Committee on America’s Infrastructure, explained how the report card was developed, how the infrastructure grades were assigned and what the cost of failing to invest in infrastructure now really means. 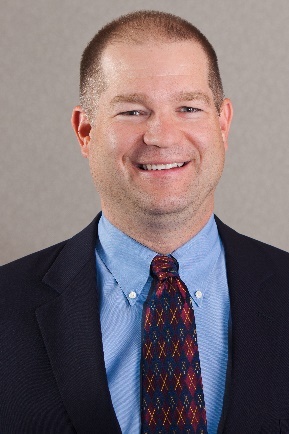 Kropelnicki selected a variety of metrics for his report card, which included basic distribution service, water quality investment, water supply investment and customer interface. He made a compelling case for his company’s grades, which ranged from A- to C+. 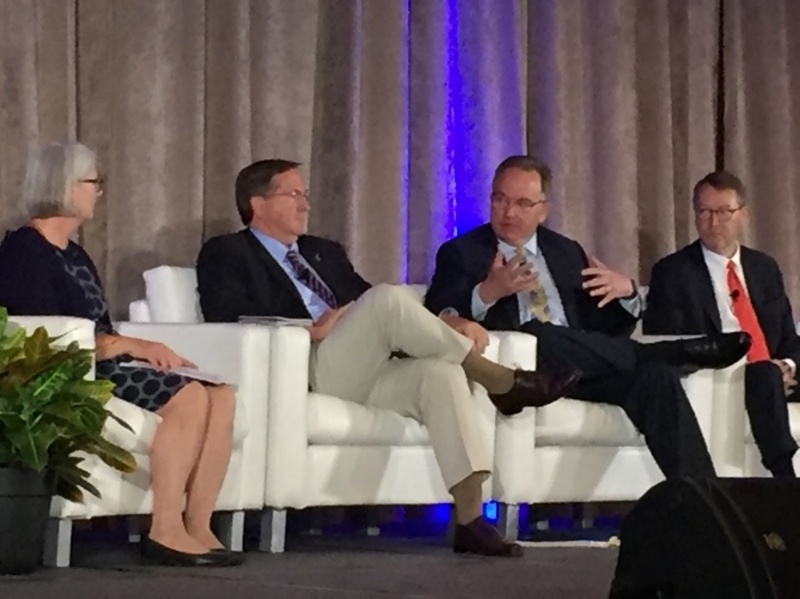 (Second from Right) Cal Water President and CEO Martin Kropelnicki discusses how his company’s infrastructure investment “report card” compares favorably with the drinking water utility industry nationally during the NARUC Summer Policy Summit. Joining him (from left) are the moderator, The Honorable Ann Rendahl, of the Washington Utilities and Transportation Commission; Greg DiLoreto of the American Society of Civil Engineers; and Phillip Moeller, Senior Vice President, Edison Electric Institute. Appearing before the NARUC Committee on Water, which was meeting jointly with the Task Force on Innovation, Richard Svindland anchored the “Desalination as a Water Source” panel at the summit. He was joined by Commissioner Comer H. “Randy” Randall, South Carolina Public Service Commission, and Bob Yamada, Director of Water Resources, San Diego County Water Authority. 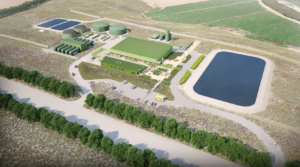 Svindland provided an update on the progress of CAW’s Monterey Peninsula Water Supply Project, which is expected to be completed by 2020 and includes a desalination plant, slant intake wells and related pipelines and facilities. When completed, the desalination plant is expected to provide 40 percent of the community’s water needs, or approximately 6,250 acre-feet per year (af/y). The groundwater replenishment project is slated for 22 percent, or 3,500 af/y, while the aquifer storage and recovery project is expected to contribute 1,300 af/y, or 8 percent. 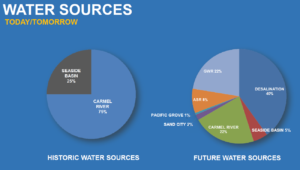 Interestingly, the Monterey Peninsula community is expected to reduce its reliance on the Carmel River, which historically provided three-quarters of the peninsula’s water needs, by almost 70 percent. Design and permitting activities for the $300-million-plus project are expected to be completed by the second half of 2018, with construction to begin in the second or third quarter of 2018. If the remainder of the work proceeds on schedule, the projected commercial operation timeframe is the first quarter of 2020.